A festive fairy story to sprinkle some magic into your holidays, with colour pictures and easy words that build your reading skills. Christmas is coming, but the King and Queen of Fairyland are all in a fluster. Jack Frost has been up to his old tricks again, and he’s kidnapped the Christmas elves. Without the elves to make presents and decorate the trees, there won’t be any Christmas this year! 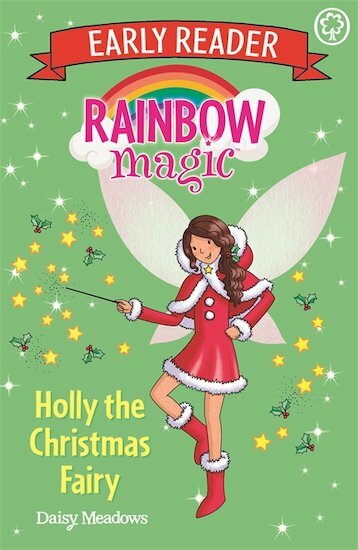 Step in Holly the Christmas Fairy. She doesn’t live on top of the Christmas tree, but she does look after all sorts of Christmas magic. With a bit of help from Rachel and Kirsty, can Holly get things back on track again?